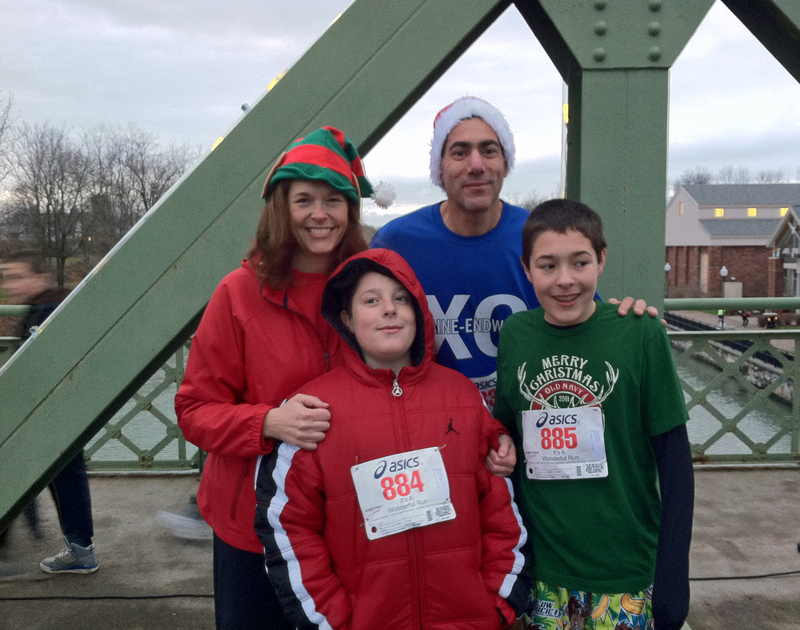 A unique start to this USATF Certified 5K Course places the field atop the famous Bridge Street Bridge which many believe was the inspiration for the bridge scenes in the holiday movie classic ‘It’s A Wonderful Life’. 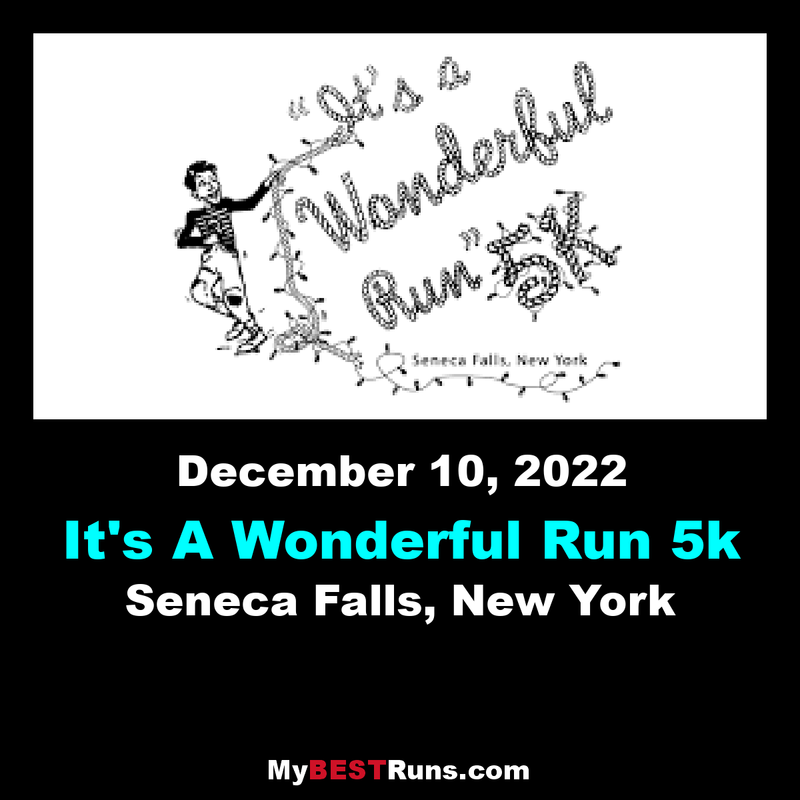 The run/walk will take you past the decorated Christmas Tree display, the lighted storefronts and shops of downtown Seneca Falls, and past historic village homes decked out and lit-up for the holiday season. 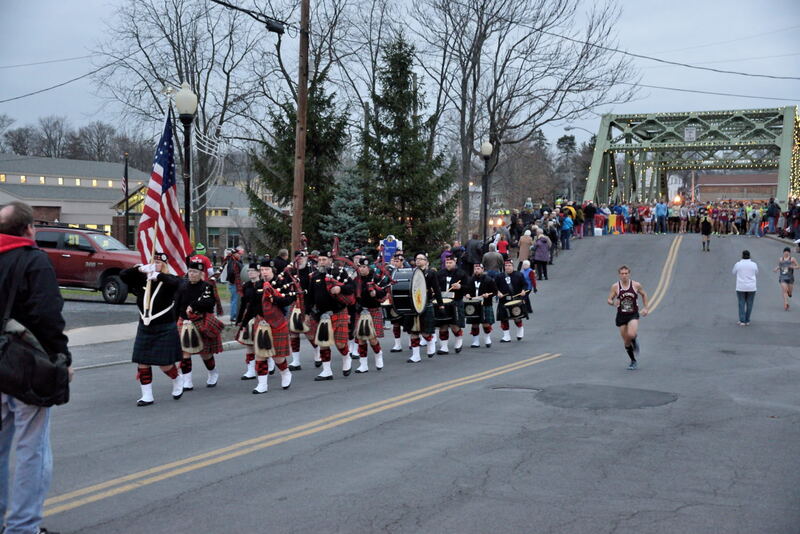 The course concludes in the shadow of the Bridge Street Bridge in People’s Park along the Seneca Falls Canal Harbor. Run/walk from the Bridge Street bridge past Antonina’sto West Bayard Street.Take a right onto West Bayard Street and run/walk to the Rumsey Street Bridge. At St. Patrick’s Church take a right onto the Rumsey Street Bridge. Run/walk over the bridge, straight over Fall Street, onto Rumsey Street, over the railroad tracks to Chapel Street. Take a right onto Chapel Street. The first-mile marker is halfway down Chapel Street near the corner of Chapel Street and Walnut Street. Continue on Chapel Street until State Street. Take a left onto State Street. Run/walk until Butler Street near the high school tennis courts. Take a left onto Butler Street and run/walk past the high school bus garage until Troy Street. Take a right onto Troy Street and past the front of Mynderse Academy high school. Take a right onto Tyre Avenue and mile marker 2 is just down the road next to the high school football field. Continue on Tyre Avenue until the tee at Cayuga Street. Take a right onto Cayuga Street and continue on Cayuga Street south past the Christmas tree display on the right and into the downtown area. Veer right onto Fall Street and through Downtown Seneca Falls. After passing through Downtown Seneca Falls, veer left down the Water Street Hill. 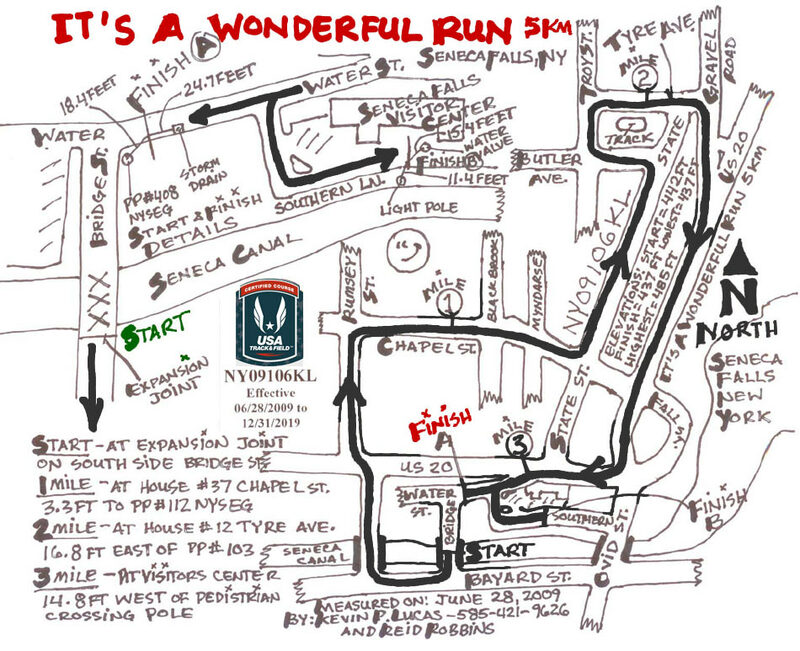 Take a left into the Peoples Park parking lot and the finish line is just ahead.